Great series. This is the start of a new arc and it's worth your time to go back to the very beginning. Fantastically engaging story about students at a high school for assassins in the 1980's. You've probably seen the pilot or at least promos for the pilot. 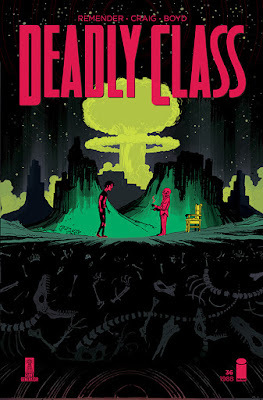 I'm sure it's good, but the TV show doesn't include the next level art from Wes Craig. Seriously, his work is bonkers. Paired with fantastic colors from Jordan Boyd? 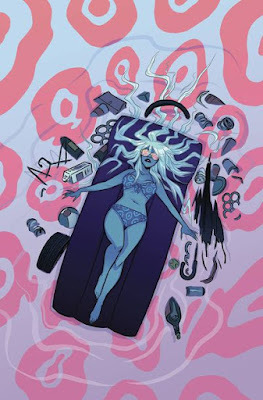 This is an amazing-looking comic with a punk ethos, and it also happens to be a searing portrayal of alienation and depression, along with bonkers action and humor. 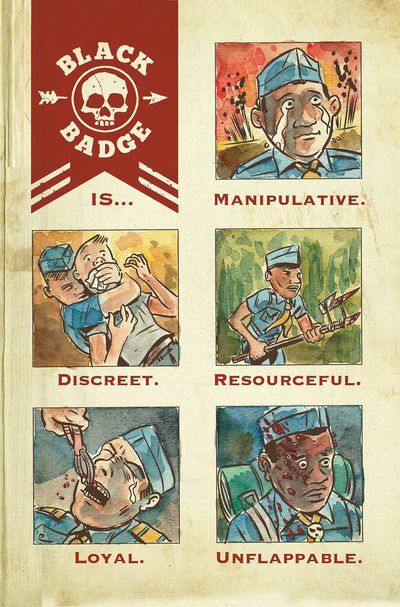 A small group of Boy Scouts actually function as spies! It's such a great hook, and thus far the book has been terrific. I just recent read the conclusion of Grass Kings, and am reading this book, and I feel like the Kindt/Jenkins pairing is a really strong one. Jenkins' art style isn't identical to Kindt's but you can see why they would work so well together. This story is just getting started, and it feels like there's going to be a much bigger mythology to explore. I love the Fantastic Four. I wasn't so crazy about the first arc of this book, as it felt like a bumpy way to start the series back up. 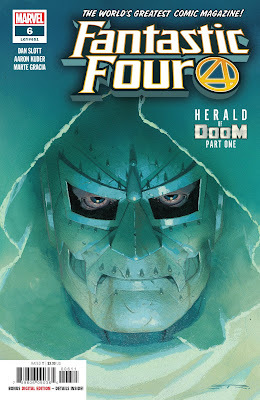 But the wedding of Ben and Alicia was very sweet, and now we're going into a Doom/Glactus story, which makes it feel like this is really the proper start of the series. The real F4 is back, ready to take on big challenges and mysteries. I still don't 100% have a feel for this book, but I'm excited to see where this goes, particularly with talented artist Aaron Kuder now involved. I'm not familiar with the Soska sisters, but I understand they're horror movie directors and producers. 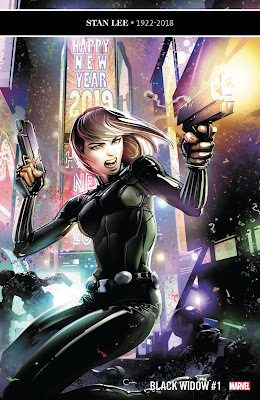 So I'm, more than anything, just really curious as to what sort of take they'll bring to the character of Black Widow. I'm also glad to see the character written by women, which (I believe) hasn't been the case for a while. She's a great character, who's been through a lot, having recently been dead and all. So, we'll see. I'm looking forward to checking it out. One of my favorite books of last year. This is creepy, unsettling, existential horror with religious overtones. The sense of dread and freaky vibe is palpable in this story. I don't totally know what's going on, and I love it. Sorrentino and Stewart are combining for some next-level art. If you're looking for a scary, thoughtful read, this is the book. 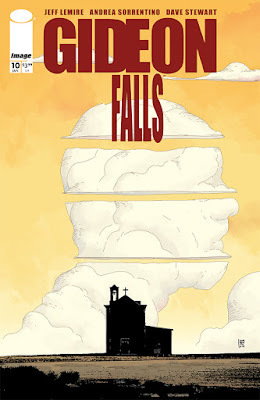 Action Lab has had a string of fun, pulpish adventure series. This series is a quirky romp, and a throwback to a different mode of storytelling. Donley's art is absolutely impressive, existing in a special pocket that is part Jack Kirby and part Roy Lichenstein with a nod to Chris Mooneyham. Goddess Mode is one of my series to watch in 2019. 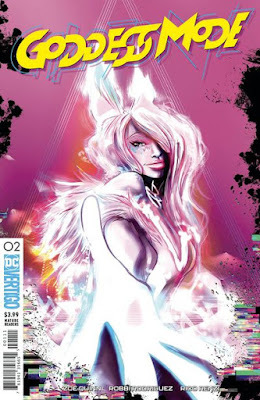 After an incredibly strong debut issue, Goddess Mode looks to continue and extend the welcomed trend of brighter cyberpunk series thanks both to Robbi Rodriguez's sharp lines and Rico Renzi's neon color pallette. If you're like me, there are always going to be a few characters for whom you will purchase any book that features them, regardless of context or creative team. Namor is one of those characters. 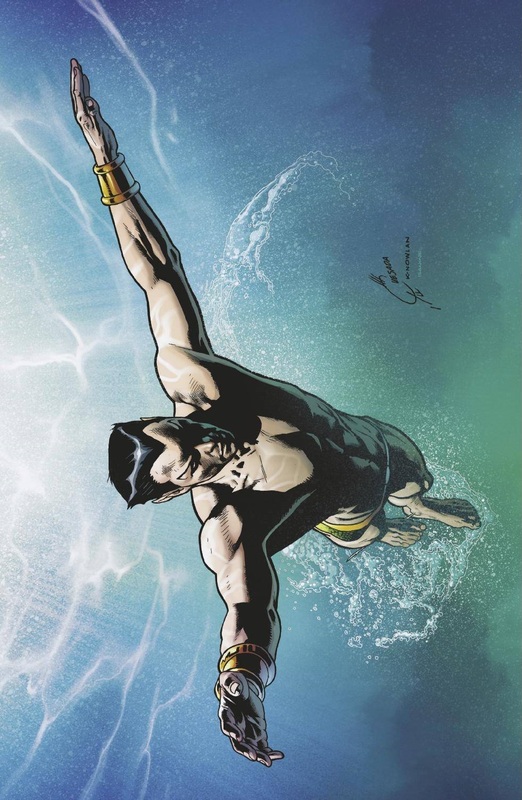 And while the King of Atlantis himself is enough to warrant the purchase, I'm particularly excited for Zdarsky's Imperius Rex dialogue. Yes, fine, this collection did arrive last week, but, in my haste, I completely missed. And I'm remiss, because it caps one of the most enjoyable runs of an absolutely near-perfect series. And, to be fair, it does arrive in bookstores this week, so if you're that type of tradewaiter, or you're just living under a rock like me, technically it's a new release this week. Simply put., Zarcone and Fitzpatrick combine for an otherworldly psychedelic adventure that captures an inventive, touching, and poignant story by Cecil Castelucci. It's a story of second chances and new worlds, and it's an absolute master class in graphic storytelling. 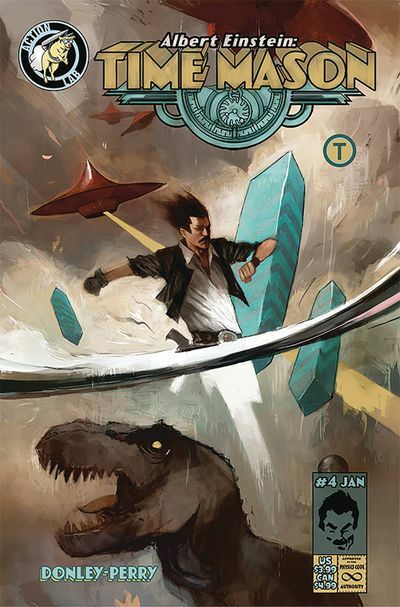 It’s the start of a new year and with it we have a new comic publisher joining the club. 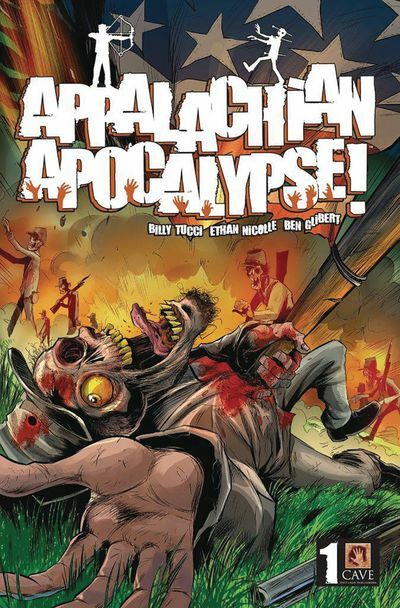 This week they are having their first release, Apalachian Apocalypse, and it is fantastic. It’s part zombie apocalypse, part 19th century North vs South USA, and part situational comedy with teens Caleb and George steering the hunt. It is still very early for much to be known of this story, and the amount of ripe momentum coming from being the new publisher on the block will help signify this as a top contender at the shop this week. I have a lot of cards in the game for this one. It feels like a small piece to a large story that could be around for awhile. Fans of Walking Dead, Farmhand, and early Matt Kindt comics should take notice to Apalachian Apocalypse, as will I. 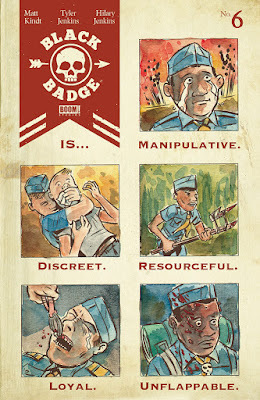 Speaking of Matt Kindt, he has an ongoing comic with BOOM! and it is one of my current favorite monthly’s to read while waking up with a coffee on a Saturday afternoon. If you’ve been following along with this story, you are aware of the basic premise and the often skittish competitive nature of things. This issue sees us with new surroundings and new oaths of honor to achieve. This is a fun book. I enjoy the art, Tyler Jenkins has a strong depiction of life in his illustrations that are so poetically organic it is difficult to look away (or easy to get lost in, depending on if you’re a glass is half empty or half full kinda person). Don’t skip this one.. it’s a killer good time. Cy-Kill, Scooter, Leader-1, as well as panels and pages of other Go-Bots are here to challenge our every meaning to exist in this inventive new depiction of a classic. I grew up rebelling the fancy Transformers and all the excitement that Optimus Prime seemed to kindle up with my friends. I was the kid that opted for more obscure (and reasonably priced) transforming bots, the Tonka inspired Go-Bots franchise. It was fun, my friend down the street had a metallic StarScream and I had a plastic Leader-1. 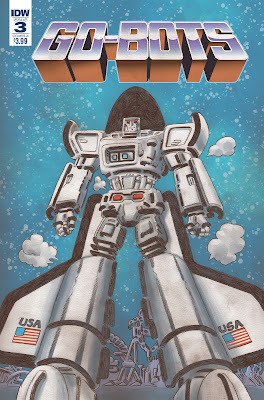 Fast forward and it’s twenty nineteen, I’m nearly forty and Tom Scioli is scripting, lettering, and illustrating a Go-Bots comic full of witty one-liners and nostalgic imagery; enough to keep me coming back month after month. Now three issues in, Tom Scioli’s art is a breath of retro fresh air. Last week we had Ryan Stegman’s Web of Venom: Venom Unleashed, and the week of Thanksgiving we had Donny Cates’ Web of Venom: Carnage Born. 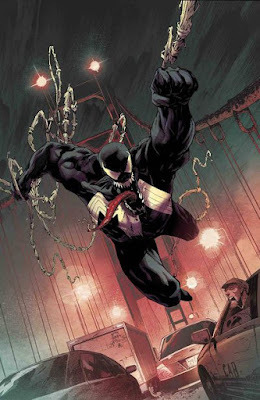 The first arc of Donny Cates’ Venom main story can be categorically described as a dense prologue to what is beginning to read as a stripped down retelling of the Eddie Brock character. I am so on board with this approach to the Venom story and I am completely enjoying the depth we are going into with the character. Last month Eddie Brock return to San Francisco with his mute and futile symbiote at his side with the intent to confront his father and face his personal demons. What we discovered was something (or… someone) no one saw coming.. a half brother?! Cates is at his best when he writes about interpersonal turmoil and loss of loved ones. Case in point is the stunningly simple, while gorgeously perfect, God Country. Venom #9 was a beautiful set up to a new chapter of Venom that we have yet to witness, one of complete solitude and personal reflection. Stegman’s Unleashed chapter, and Cates’ Carnage rendition was what feels to be a small step toward a larger story telling goal. In the meantime it is apparent that we are about to be taken on a journey of self discovery and (maybe) loss while the buildup simmers in the abyss.